In celebration of Earth Day on Monday, April 22nd, the Climate Action Alliance of the Valley and Court Square Theater are offering a FREE, community showing of the Academy-Award-nominated animated film The Red Turtle! The Red Turtle‘s simple but stunning story about humankind’s struggle against nature will appeal to audiences young and old. The film is completely dialogue free, so members of the community who speak different languages can appreciate its universal message together! At its simplest level, the film is about a man who is isolated on an island and battles a giant turtle. Looking at it symbolically, Dutch illustrator, animator and director Michaël Dudok de Wit says that the man represents humankind and the turtle represents nature. In recorded interviews he calls it “a love letter to nature.” He also intended the story as a statement about the power of nature and about humankind reconnecting with nature. The Red Turtle appeals to viewers young and old, English-speakers and non-English speakers, casual movie-goers and analytical movie-goers. De Wit successfully uses visual storytelling and the characters’ face and body language to convey emotion in place of dialogue. He describes The Red Turtle as kid-friendly, though there is animal death which reviewers suggest will be appropriate for children age 10 and up. Early arrivers can enjoy FREE POPCORN thanks to support from the Shenandoah Group of the Sierra Club! (Limited supply of free small popcorn for the first 33 guests). Come celebrate our connection to Earth with your community this Earth Day! Learn more about The Red Turtle in this interview with the movie’s director Michaël Dudok de Wit HERE. The bill intentionally hamstrings Virginia from joining the Regional Greenhouse Gas Initiative. It passed narrowly on party- line vote. What is RGGI? It is a market-based consortium of 10 Northeastern states—Connecticut, Delaware, Maine, Maryland, Massachusetts, New Hampshire, New Jersey, New York, Rhode Island, and Vermont— organized to reduce greenhouse gases by capping overall emissions and trading “allowances.” Since 2005, carbon emissions in RGGI states have fallen by 40 percent while their economies have grown by eight. What’s so disagreeable about RGGI? Carbon reduction? Economic growth and new jobs? Health benefits? Were no climate catastrophe looming, RGGI would still make sense in terms of energy efficiency, economic impacts, and health. But in the wake of two recent and terrifying climate studies — the National Climate Assessment and the 2018 Report of the International Panel on Climate Change — not to commit to a proven program of carbon reduction borders on indefensible. Yet, at national and state levels, the GOP seems firmly committed to the fantasy that climate change is a hoax. Never mind that 73 percent of Americans think global warming is happening now, and most are worried, according to a national survey called Climate Change in the American Mind. Never mind the consensus of America’s premier scientific bodies that burning fossil fuels is the primary cause. Among these agencies: The National Academy of Sciences, American Physical Society, American Geophysical Union, NASA, National Oceanographic and Atmospheric Administration and National Center for Atmospheric Research. Never mind as four decades of predictions by climate scientists materialize before our very eyes. Seasons are shifting, ice caps melting, hurricanes stronger and wetter, wildfires larger and more devastating and tides are inundating Miami and Norfolk. Never mind the assessment of our armed forces that changing climate is a global “threat multiplier” and rising sea level puts Norfolk Naval Base at risk, according to a Pentagon report from 2014. Why then deny? Because denial pays handsomely. According to the watchdog agency vpap.org, eight of Obenshain’s top 25 campaign contributors are linked to fossil fuels, including Koch Industries, Dominion Energy and Consol Energy. Come November, I will cast my vote for a senatorial candidate of integrity who refuses the fossil-fuel lobby’s 30 pieces of silver, blood money for selling out the futures of our children and grandchildren. I will vote for April Moore, a candidate of common sense, not partisan nonsense. Dave Pruett lives in Harrisonburg. On March 20, 2019, the Climate Action Alliance of the Valley presented “Wake up Virginia!!! Mobilizing for Our Climate Crisis.” We proudly hosted Karen Campblin of Fairfax, Co-Chair of the Green New Deal Virginia Coalition, and Environmental and Climate Justice Chair for the Virginia NAACP; Bob Shippee of Richmond, Legislative and Political Chairs of the Sierra Club Virginia Chapter; and April Moore of Shenandoah County, member of the Chesapeake Climate Action Network Board of Directors, to answer questions on state level legislative ways to address the rapidly evolving issue of fossil fuel-driven environmental degradation. Some 85 community members gathered at the Rockingham County Government Center’s community room to be part of this discussion. About the scope of the climate problem—Are we looking at a crisis where we need to mobilize like we did in WW II? What lessons do you think that experience offers us today? The three panelists all agreed that the Climate Crisis facing our nation and world is unequivocally worthy of a World War II scale mobilization and investment. They agreed that we are experiencing a true emergency that calls for leadership by government, science, and business to ensure we respond promptly and effectively. What is the status of the legislation you have been focusing on? What have been the biggest obstacles to getting them passed? Major legislation during the 2019 General Assembly session included bills focused on the Regional Greenhouse Gas Initiative (RGGI, pronounced like the name “Reggie”), Solar Freedom, Solar Demonstration Project, and Coal Ash Removal. RGGI would have authorized proceeds from carbon auctions to belong to Virginia and Virginia would determine how to use them. Without RGGI, the utilities would receive proceeds and decide on their use. The Solar Freedom legislation would have removed existing barriers to Virginians—individuals and businesses—who want to deploy solar energy. The Solar Demonstration Project would have allowed a pilot project to examine the feasibility of solar in low and moderate income communities. Coal Ash Removal would require appropriate disposal of massive amounts of toxic coal residue from several “ponds.” All but the last piece of legislation was defeated because of legislative partisanship and parochialism and the persuasive power of Virginia’s largest utility. What strategies are your organization and partners using to move forward the legislation you support in future legislative sessions? The newly formed Virginia Green New Deal is hosting an April 27 partner summit during which it hopes to form alliances and partnerships with other organizations to develop legislative framework for the 2020 General Assembly session. The panelists suggested not only participating in this activity but also having off-season conversations with legislators and organizations around issues such as clean air, safe water, renewable energy, local-scale agriculture, and job training. 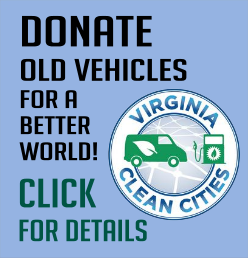 What suggestions do you have about how we can work with other groups to move Virginia toward more renewable energy and toward less fossil fuel dependence? I am thinking of groups like conservatives for clean energy, evangelicals, creation care groups, libertarian groups, and environment social justice groups. Develop local “people power” such as local solar cooperatives. Establish relationships with diverse organizations that share a common interest such as labor groups, coal miners, cleaner transportation advocates, and health workers. Do coalition building within a community and among other Virginia communities to focus on the intersection of economic, climate, and social justice priorities and propose ways to move forward within that overlap. Don’t build walls. Meet others where they are. Look for commonality. Even though next year’s General Assembly session convenes in January, we recognize that a lot of legislative work happens much earlier. What are the most effective actions we can take as individuals and communities, especially between now and when they convene? Get involved in the election process. Find the candidates whose positions you agree with and help them get elected. Canvas for them. Donate to their campaigns. Reach out to local legislators and let them hear what you want; do that repeatedly. “Badger” your elected leaders … all year. Write letters to your legislators spelling out your priorities as their constituent. Letters appear to have the most impact; emails and phone calls can be effective provided they are personalized. Personal stories are compelling. Form emails and petitions have less value. Then send your letters to the newspapers. Become aware of the local budget process to learn the local elected officials’ priorities. Speak up about budget proposals. Look at local zoning rules to see if there are areas for improvement. Early submissions for a General Assembly session begin in November. So don’t wait to put forward your requests. In reaching out to others, be cognizant of your approach. Using words like “conserve” and “preserve” might resonate better with some people than “climate change.” Talk jobs (e.g., clean energy jobs, retraining of coal industry workers). Raise health risks from environmental degradation. Express solutions in terms of “free market” methods. Use the Virginia Public Access Project’s website to learn how your local legislator voted and where your political contributions are going. Consider supporting campaign finance reform in Virginia. Read The Solar Patriot by Erik Curren to learn how to “pitch” the value of solar energy to conservatives and libertarians, as well as progressives and liberals. Do what plays to your strengths and personality. Noise, rallies, protests all play a role and help inspire others. Join the Climate Action Alliance of the Valley (CAAV) mailing list. Read its Weekly Climate News Roundup, ask to work on one of its four standing committees: Coalition Building, Education and Events, Legislation and Elections, and Speakers Bureau. Write CAAV at contactcaav [at] gmail [dot] com to ask questions, offer ideas, learn where to look for information. Reach out to organizations like local Rotary clubs and the Christian Coalition. Stay informed. Our National Aeronautics and Space Administration (NASA) provides reliable online resources here. Volunteer! Local grass roots groups like CAAV, Renew Rocktown, and RAPTORS could all use your help. 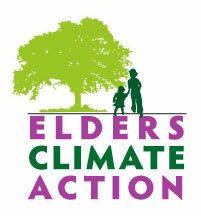 WMRA’s Anna Saunders covered the discussion here: Panel Discusses Need to Address Climate Change. The Daily News-Record‘s Jessica Wetzler’s article Panel Talks Politics Of Climate Change, Election was published on March 22. JMU’s The Breeze published Experts speak on Virginia climate change legislation by Christian Lovallo on March 25. Karen appeared on WHSV-TV3’s 1on1 with Bob Corso earlier in the day on March 20, to help promote the event: Climate crisis forum is tonight in Harrisonburg.